I’ve got a project – to make amends for the one time I didn’t object when our gardener said he would have to use Round Up (by Monsanto) to clear the beautiful steps he had built years earlier with rail ties. it’s a stunning row of 30 or so descending steps down a steep slope – and was badly in need of weeding. I didn’t like it – but didn’t speak up – after all, he’d been looking after our gardens long before I came along. It happened only once, about 2 years ago. This year, I noticed a big evergreen tree next to the steps was dying. I asked the tree what was going on – and it reminded me of the poison we had put down. I was devastated. In meditation I asked Mother Earth if the tree could be saved. I was told to hold a ceremony – which we did.We were told to put our healing into the tree and also to send it to the grid around the Earth. I had my hands on the tree – and she gave me a name, Amelda, and I was told to pray for her often, and ask for her to be healed. Later that day I looked up the meaning of the name, Amelda. it’s meaning is “Universal Battle.” Sounds to me like she’s helping heal the damage of Round Up, and I’m inspired to find a safe alternative to Round Up. Turns out there’s plenty on the internet! What was I thinking? See the bottom of this article for one such solution. Let us all be a little more aware of our choices! 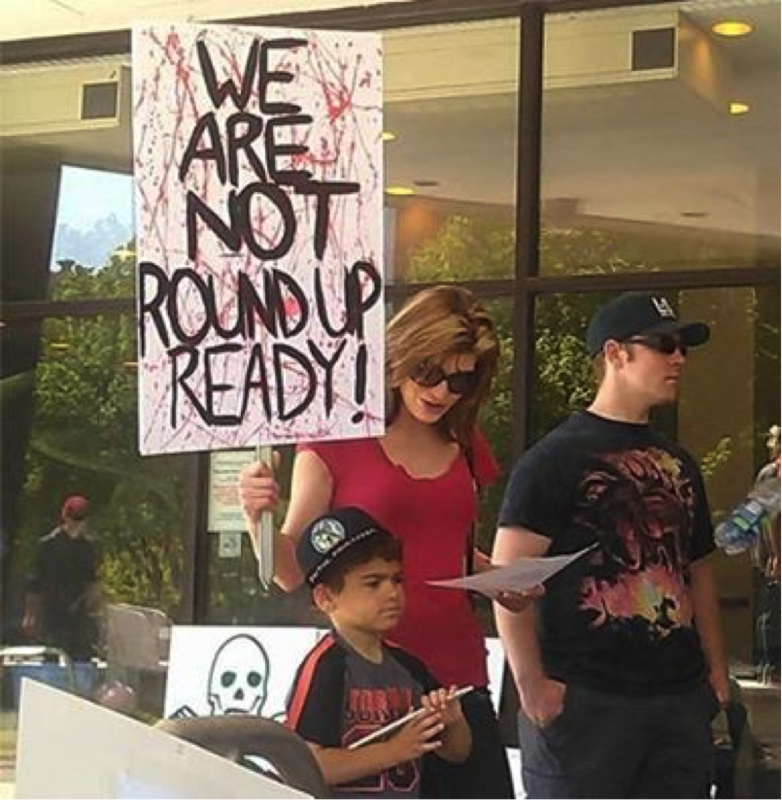 I’m re-blogging from a post I received a while ago: I’ve seen a number of posts containing photos from the Millions Against Monsanto marches in 350 cities and there is a fair bit of good news on that front as two counties in Oregon recently voted against Monsanto’s murderous actions. There was no mention of the marches on the news station we watched briefly, however. No surprise there. I’ve since found out that is is VERY possible to use a home made version of weed killer. Bryce shows how to make and apply your own homemade all-natural weed killer, using everyday household products. Make sure you CLEAN YOUR SPRAYING EQUIPMENT afterward, as the contents of this spray will deteriorate your sprayer and seals. If you maintain your equipment it should last a long time!